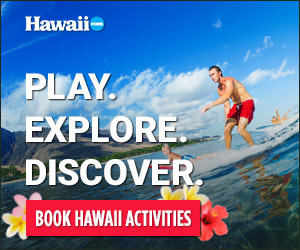 Perfect for family or romantic getaways: A handful of stylish cruise ships offers visits to ports on the major Hawaiian Islands: O‘ahu (Honolulu port), Maui (Kahului or Lahaina), Kauai (Lihue) and the Big Island (Hilo and/or Kailua-Kona). Maui ports to explore: Combined with neighboring Wailuku, Kahului houses the island’s largest population and is Maui’s heart of business and industry. Its harbor is the island’s only deep-water port, providing a shipping avenue for Maui-grown sugar and pineapples since 1880. Wailuku, the seat of government for the County of Maui, is nestled at the base of the West Maui Mountains. Missionaries settled here in the 1800s, bringing New England-style traditions and architecture including the white-steepled and stone churches that, with the help of Maui-born Queen Ka‘ahumanu, ushered Christianity into the Islands. Lahaina’s main drag, Front Street, is packed with art galleries, nightlife and dining opportunities. Start at one end of the street and window-shop its entirety; this alone is several hours of enjoyment. This area is also rich in Island history. Kamehameha I chose Lahaina as his seat of rule when he united the Hawaiian Islands, and it is here he built the Islands’ first “Western” structure, the Brick Palace (1801). (The capital of Hawaii was moved to Honolulu in 1845.) In the early 1800s European whalers and Christian missionaries arrived, introducing Western customs to the people of Lahaina.